Chelsea have launched the new 2018/19 season Home and Away shirts, and you can buy the junior Chelsea football kits here at TotalSports. The new Chelsea 2018-19 home kit uses a darker shade of blue than that of previous seasons. With a very clean design, the Chelsea 17-18 home shirt features very little white applications and is almost entirely blue. Based on the 2017 edition of the Vapor Aeroswift template, the new Chelsea kit boasts knit details on the front, sleeves and back, while a tonal panel is placed on each side of it as well as under the arms. 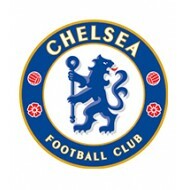 A blue stripe holding an even thinner dark blue stripes runs around the back neck of the Chelsea2017-18 jersey - 'Chelsea FC' is written on the back. Chelsea's 2018-2019 away jersey is yellow, which is one of the most iconic alternative colors of the club. Complementing the rather unusual home shirt, the Chelsea 2018-19 away shirt is much more subtle in its approach. Let your little one show all their support with this childre.. Launching the club in a fresh direction with a dramatic twis.. Embrace Blues pride with the Junior Chelsea Away 2017-18 Foo..
Chelsea made all their fans cheer when they won the 2016/1..
Let your little one show their sense of Blues pride with thi.. Inspired by tradition and shaped by legacy, the Chelsea Home..